BAREFOOT JERRY were formed from the remnants of highly-rated southern rockers Area Code 615. That band's founder, Wayne Moss, had played in Brenda Lee's backing band in the early '60s and worked with Dylan in 1966 ( Blonde on Blonde). Area Code 615 recorded a self-titled album in 1970 and 'A Trip in the Country' in 1971 but other musical commitments prevented them from touring. 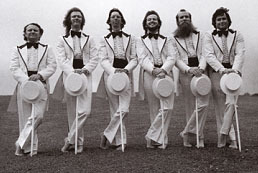 Moss then formed Barefoot Jerry with two members of Area Code 615, vocalist/guitarist Mac Gayden and drummer Kenny Buttrey who joined keyboard player John Harris. The group signed to Capitol and released 'Southern Delight' in 1971. In 1972 they released the self-titled for Warner Brothers, Russ Hicks and Kenny Malone had replaced Gayden and Buttrey. The band then signed to Monument and with further lineup changes (Si Edwards on drums, Dave Doran on bass, Fred Newell on vocals) recorded 1974's Watchin' TV, which featured Wayne Moss' friend Charlie McCoy. In 1975 Monument released You Can't Get Off With Your Shoes On, and reissued both the Capitol and Warner Bros. albums on a double album, Grocery. 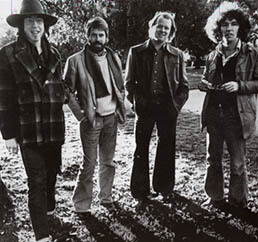 Wayne Moss assembled Barefoot Jerry's 1976 incarnation and the band recorded, Keys to the Country with bassist Terry Bearmore and guitarist Jim Colvard, Warren Hartman keyboards, and Charlie McCoy, who made a further guest appearance. This is the band (minus McCoy) that recorded the last Barefoot Jerry album, 1977's Barefootin'. The achievement of CLINT BLACK, and fellow artists such as Randy Travis, Alan Jackson and Dwight Yokam, was to modernise the country genre without losing its traditional integrity. 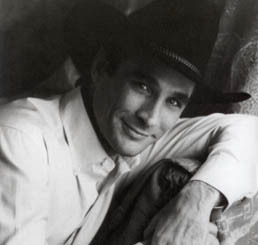 Clint Black was born in 1962. In the late-seventies he started playing the clubs and coffee houses in his hometown, Houston, Texas, working as a solo performer before his chance meeting with Hayden Nicholas in 1987. Guitarist and songwriter Nicholas had his own home studio and Black used this to record some demos and their writing partnership developed. A management deal was struck with ZZ Top manager Billy Ham and a recording contract with RCA. A first single 'A Better Man' (released early in 1989 and an instant success) and debut album followed 'Killin' Time'. Killin' Time topped the country charts for 28 weeks and spawned several more number one singles. 1990 saw the release of his second album, 'Put Yourself In My Shoes' which repeated the success of his debut, with sales topping two million and a succession of singles. Clint Black continued to enjoy success in the 1990s and a 'comeback' album was released on his own Equity label in 2004. EGGS OVER EASY had originally formed after three musicians (Jack O'Hara, Austin de Lone, Brien Hopkins) met up in Greenwich Village in autumn 1969. They quickly gained a reputation as the group who jumpstarted the punk rock movement, after settling in London in 1970. By 1971, everybody from The Grease Band and Roger Morris to Brinsley Schwarz and Fairport Convention were absorbing elements of their music. They returned to the US in 1972 and spent a couple of years supporting a variety of acts including The Eagles and Yes. They were then signed to A&M and re-recorded their earlier London demos, produced by the legendary Link Wray. The group folded in 1981 although the former members remain musically active. 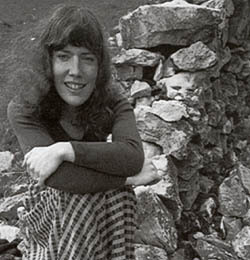 BRIDGET ST.JOHN came to the attention of DJ John Peel who signed her to his Dandelion label. Three albums were released to critical acclaim and Bridget established her reputation on the busy UK college and club circuit as one of the country's leading singer-songwriters. With the demise of Dandelion in 1973, Bridget was 'between labels' for several months until signing with Chrysalis. Her debut LP for the label was 'Jumblequeen' produced by Ten Years After bassist Leo Lyons. The recording of that album coincided with the break-up of her marriage and 'Jumblequeen' is imbued with a compelling mix of dark melancholy. In 1977 Bridget relocated to New York and settled in Greenwich Village where she continued to make music, raise her daughter, and is poised now for a renaissance with a new younger audience who missed her first time around.